Department of Pharmacognosy, Prin. K. M. Kundnani College of Pharmacy, University of Mumbai, Cuffe Parade, Mumbai - 400005, Maharashtra, India. ABSTRACT: Phytosomes are recently introduced drug delivery system and novel botanical formulation to produce lipophilic molecular complex to improve absorption and bioavailability of phytoconstituents. The objective of the present study was to formulate and evaluate tablets of Carica papaya phytosomes. Solvent injection method was used for the preparation of phytosomes. Carica papaya phytosomes were characterized by particle size, Zeta potential, Scanning electron microscopy, Fourier Transform Infrared Spectroscopy, Differential scanning calorimetry, and in-vitro drug release. The results showed that the average particle size and zeta potential of the optimized phytosomes formulation were 135.8 nm and −36.7 mV. In-vitro drug release studies revealed that the cumulative % drug release of tablets of Carica papaya phytosomes was found to be 85.32%. Cytotoxic effect of aqueous extracts and phytosomes on human leukemia cell line K-562 was evaluated by performing Sulforhodamine B (SRB) assay. The GI50 value of aqueous extract and F2 was found to be 75.2 μg/mL and 48.4 μg/mL respectively. The result showed that the phytosomes exhibited better anticancer activity than Carica papaya aqueous extract. Hence it was concluded that Carica papaya phytosomes serve as useful novel drug delivery system and provide more bioavailability than conventional formulations. INTRODUCTION: Most of the biologically active constituents of plants are water soluble molecules. However, these are mainly hydrophilic molecules due to that they are limited in their effectiveness and are poorly absorbed either due to their larger molecular size which cannot be absorbed by passive diffusion and due to their poor lipid solubility limiting its ability to pass across the lipid-rich outer membranes of the enterocytes of the small intestine resulting poor bioavailability of drugs 1. Therefore, a larger dose is usually required for dosage regimens. The effectiveness of many herbal drugs is mainly based upon delivering an effective level of the active phytoconstituents present in it 2. Phytosome is cell-like structure “Phyto” means plant while “Some” means cell-like the structure; it’s a novel approach to drug delivery system. Phytosome is a vesicular drug delivery system in which phytoconstituents of herbal extracts bound by lipids 3. When a stoichiometric amount of the phospholipid was made to react with one mole of herbal extract in an aprotic solvent, phytosomes were formed 4. Phytosome protect valuable component of extract from destruction by digestive secretion and gut bacteria and because of which they show better absorption which produces better bioavailability and improved pharmacological and therapeutic profiles than conventional herbal extract 4. The project was aimed at improving the release characteristics of Carica papaya extract by formulating Carica papaya phytosomes tablet. Carica papaya Linn. belongs to family Caricaceae. Carica papaya leaves contain various phyto-constituents like saponins, L-tocopherol, ascorbic acid, flavonoids, alkaloids, cardiac glycoside, tannins. Alkaloids include carpaine, pseudocarpaine, and dehydrocarpaine I and II. The Carica papaya leaf extract has a wide variety of pharmacological properties including anticancer, antioxidant, anti-inflammatory, antibacterial, hepatoprotective, hypoglycemic and hypolipidemic effects and increases platelet count 5. In this study, a complex of Carica papaya aqueous extract and lipids were prepared, and the physiochemical properties and cytotoxicity studies of the complex were investigated 4. Materials: Hydrogenated soya phosphatidyl-choline (Phospholipon 90H) was obtained as a gift sample from Lipoid GmbH (Ludwigshafen, Germany), cholesterol from Himedia Lab. Ltd. All the other chemicals and reagents used in this study were of analytical grade. Extraction of Leaves: Fresh leaves of Carica papaya were collected during July. Fresh leaves (plant authentication specimen number p 06010717) were collected, washed with water and wiped with a clean cloth to remove dust. Leaves were shade dried at room temperature and powdered using a mixer grinder. 30 g of powdered plant material was extracted with 300 ml water in an Ultrasonicator at 37 ºC for 2 h. The extract thus obtained was concentrated and evaporated to dryness on a water bath maintaining the temperature at 70 ºC. Determination of λmax: Concentration of 120 μg/mL of Carica papaya aqueous extract dissolved in 0.1N HCl and phosphate buffer pH 7.4 separately scanned over a wavelength range of 200-800 nm. Preparation of Standard Calibration Curve of Carica papaya Aqueous Extract: 10 mg of Carica papaya aqueous extract was dissolved in 10 ml of 0.1N HCl and phosphate buffer pH 7.4 separately to give a stock solution of 1000 μg/mL. From the stock solution, the standard solutions with concentrations ranging from 30-180 μg/mL were obtained. The absorbance of these solutions was observed at 268 nm, in triplicate against 0.1N HCl and phosphate buffer pH 7.4 separately as blank. These absorbance values were used to prepare the standard plot. Preparation of Phytosomes Containing Carica papaya Aqueous Extract: Phytosomes of Carica papaya aqueous extract was prepared by solvent injection method. The required amount of lipids, i.e. Phospholipon 90H and cholesterol (in different ratios) were dissolved in ethanol. In another beaker, the aqueous extract of Carica papaya was dissolved in phosphate buffer pH 7.4. To this aqueous phase, the lipid phase was added by injection at one jet. The mixture was continued stirring for 2 h at 1200 rpm using a magnetic stirrer to allow the solvent to evaporate and to obtain uniform vesicular dispersion. The phytosomes were homogenized in a high-speed homogenizer to form small uniform size vesicles. The final formulation was freeze-dried using 10% w/v D-(+)-Trehalose dihydrate as a cryoprotectant 6. Determination of Entrapment Efficiency: This parameter was calculated to know the amount of aqueous extract entrapped in the phytosomes. The unentrapped aqueous extract present in the supernatant was quantified by centrifugation at 12,000 rpm for 45 min 4. After centrifugation supernatant was analyzed by UV-Visible spectrophotometer at 268 nm. The entrapment efficiency was calculated according to the following formula. Differential Scanning Calorimetry (DSC): Carica papaya aqueous extract, Phospholipon 90H, cholesterol, and the phytosomes complex was weighed accurately into a standard aluminum pan, hermetically sealed and heated from 25 ºC - 350 ºC at a constant rate of 10 ºC/min under constant purging with nitrogen at 20 ml/min. (Mettler Toledo DSC 60 using data recording software STAR®SW 9.20). Peak transition onset temperatures were recorded using an analyzer 7. 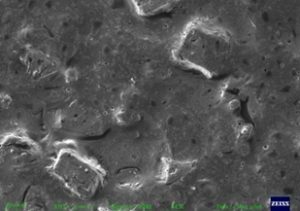 Scanning Electron Microscopy (SEM): SEM was used to determine particle size distribution and surface morphology of the complex. Samples were studied using a JEOL JSM-6701F scanning microscope. Then the particle size of the formulation was viewed and photographed using a Scanning electron microscope (Sigma, Carl Zeiss) 7, 8. In-vitro Release Studies: In-vitro release studies were carried out by using dialysis method (Dialysis membrane-50 with a molecular weight cut off 12000 to 14000 Da from Hi-Media Laboratories Pvt. Ltd.) using phosphate buffer pH 7.4. The prepared phytosomes (3 ml) was filled in the dialysis membrane, and both the end closed with clips and suspended in the medium. The contents were stirred at 100 rpm at 37 ºC ± 0.5 ºC. The aliquots of 3 ml were withdrawn at a different time interval. Fresh medium was used to replenished with an equal volume of the sample withdrawn. The aliquots were analyzed at 268 nm in UV-Visible spectrophotometer and the amount of drug released at different time intervals was calculated 9, 10. Stability Studies: The optimized phytosomes formulations were stored at different temperature ranges 4ºC ± 2ºC, 25ºC ± 2ºC and physical stability of prepared phytosomes were evaluated for 3 months and studied for drug entrapment 4. In-vitro Cytotoxicity Activity: Cytotoxic effect of Carica papaya aqueous extract and phytosomes on human leukemia cell line K 562 by Sulforhodamine B (SRB) assay. Method: The cell lines were inoculated into 96 well microtiter plates containing 10% fetal bovine serum and 2 mM L-glutamine. After cell inoculation, the microtiter plates were incubated at 37 °C, 5 % CO2, 95% air and 100% relative humidity for 24 h. After 24 h 10, 20, 40, 80 μg/mL of different test compound concentration were added to the microtiter plates. After compound addition, plates were incubated at standard conditions for 48 h and assay was terminated by the addition of cold TCA. Cells were fixed in-situ by the gentle addition of 50 µl of cold 30% (w/v) TCA (final concentration, 10% TCA) and incubated for 60 min at 4 °C. The supernatant was discarded; the plates were washed five times with tap water and air dried. The air-dried plates were stained with Sulforhodamine B (SRB) solution (50 µl), and plates were incubated for 20 min at room temperature. The unbound dye was removed by rapidly washing four times with 1% acetic acid. The bound stain was subsequently eluted with 10mM trizama base, and the absorbance was measured using a microplate reader at a wavelength of 540 nm with 690 nm reference wavelength. The percentage of growth inhibition was calculated 11, 12. Preparation of Powder Blend for Tablet: Carica papaya aqueous extract phytosomal complex tablets were prepared by direct compression technique. All the ingredients were thoroughly mixed. Then the powder was passed through sieve mesh 40# to get the uniform size of particle 13. Pre-compression Parameter of Blended Powder: Pre-compression parameters of blended powder were carried out. These included bulk density, tap density, Carr's index, Hausner's ratio, the angle of repose 13. Formulation Carica papaya Phytosomes Tablet: Carica papaya aqueous extract phytosomal complex tablets were prepared by direct compression technique. All the ingredients were thoroughly mixed. Then the powder was passed through sieve mesh 40# to get the uniform size of the particle. Talc was finally added as glidant and lubricant respectively. The powders were compressed using the tablet compression machine 13. Weight Variation: The weight variation test was carried out for 20 tablets randomly by weighing each tablet individually, and their average weight was calculated. Thickness and Diameter: Thickness and diameter of the tablet were determined using Vernier Callipers and expressed in mm. Hardness Test: Hardness of the tablet was determined by using the Monsanto hardness tester and expressed in kg/cm2. Where, W1= weight of tablets before the test, W2 = weight of tablets after the test. Disintegration Time: The disintegration test was carried out using the disintegration test apparatus. This test was carried out at 37 ºC ± 2 ºC in 900 ml distilled water. Six tablets were placed individually in each tube of the disintegration test apparatus, and discs were placed over each tablet to prevent them from floating. The time taken for each tablet to disintegrate completely was recorded. In-vitro Dissolution Study of Phytosome Tablet: In-vitro dissolution studies for the prepared phytosomal complex tablet formulations were carried out using type-II apparatus at 50 rpm. The dissolution media used was 900 ml of 0.1N HCl, and phosphate buffer pH 7.4 media were used as dissolution media for first two hours and the next 24 h respectively and maintained at 37 ºC ± 0.5 ºC. 5 ml aliquots were withdrawn at the specified time intervals. An equal volume of fresh media was replenished after each sampling to maintain the constant volume of the medium. The samples were analyzed at 268 nm using UV-visible spectrophotometer. Determination of λmax: The concentration 120 μg/mL of Carica papaya aqueous extract in 0.1N HCl and phosphate buffer pH 7.4 was found to be 268 nm. Standard Calibration Curve of Carica papaya Aqueous Extract in UV Spectrophotometer: The UV absorbance of Carica papaya aqueous extract standard solution in the range of 30-180 μg/mL in 0.1N HCl and phosphate buffer pH 7.4 showed linearity at λmax 268 nm. The linearity was plotted for absorbance against concentration with R2 value 0.998 for 0.1N HCl and 0.998 for phosphate buffer pH 7.4. Preparation of Phytosomes Containing Carica papaya Aqueous Extract: Phytosomes of Carica papaya aqueous extract was successfully prepared by solvent injection method in the ratios of 1:1, 1:2, 1:3, 1:4, 2:1, 2:2. The formulation compositions were given in Table 2. Phytosomes of Carica papaya aqueous extract were optimized based on the effective concentration of aqueous extract and phospholipids, cholesterol ratios 4. After freeze-drying using 10% w/v D-(+)-Trehalose dihydrate as a cryoprotectant phytosomes were found to be as free-flowing powder. Measurement of Particle Size and Zeta Potential: The average particle size of Carica papaya aqueous extract phytosomes with Phospholipon 90H and cholesterol ratio of 1:2:0.3 formulation (F2) was found to be 135.8 nm, and the polydispersity index value was 0.540 and Zeta potential value was found to be -36.7 mv indicating good stability of the formulation. The results were graphically represented in Fig. 3 and 4. Entrapment Efficiency: The maximum drug entrapment was shown by F2. The entrapment efficiency of all formulations was graphically represented in Fig. 5. The formulation F2 showed highest release entrapment efficiency of 67% indicating the optimum amount of lipid required for the formation of Carica papaya aqueous extract phytosomes. With further increase in the lipid concentration, the entrapment efficiency decreased indicating that the lipid concentration did not help in entrapping the drug into the matrix 4. Differential Scanning Calorimetry: The DSC thermograms of Carica papaya aqueous extract, Phospholipon 90H, cholesterol, and the prepared Carica papaya aqueous extract phytosomes were displayed in Fig. 6. The Carica papaya aqueous extract revealed two peaks, endothermic peak around 79.7 °C and at 212.8 °C. This is associated with second-order phase transition such as glass transition 18. Phospholipon 90H showed two sharp endothermic peaks at 125.2 °C and 182.5 °C, respectively. The first peak at 125.2°C is likely due to the melting of phospholipid. The second peak at 182.5 °C appears to be due to the phase-transition from gel to a liquid-crystalline state, and the carbon-chain in the phospholipid may have perhaps undergone other isomeric or crystal changes 19. Cholesterol showed sharp endothermic peaks at 153.21 °C, indicating its melting point 20. In the phytosome formulation, two peaks are observed at 117.6 °C and 125.9 °C. This may be due to the melting of the lipid component and their interaction with aqueous extract. This suggests that the aqueous extract has been entrapped into the lipid vesicles. Fourier Transform Infra Red Spectroscopy: FTIR spectrum of Carica papaya aqueous extract, phospholipon 90H, cholesterol, and the prepared phytosomes are shown in Fig. 7. In FTIR spectroscopy the peaks were found in the Carica papaya aqueous extract, phospholipon 90H, cholesterol remained consistent in the phytosomes which confirmed the absence of any chemical interaction between the aqueous extract and lipids4. Scanning Electron Microscopy (SEM): The surface morphology, shape, and structure of the phytosome complex of Carica papaya aqueous extract are shown in Fig. 8. 7 The results indicated that the particles were round and homogeneous with a rough surface. In-vitro Release Studies: The % cumulative release of all batches was 62.57-86.34% which is shown in Fig. 9. The cholesterol and phospholipid concentration affects the drug release. The formulation F2 with 6 mg cholesterol and 20mg phospholipid showed the highest release, i.e. 86.34% as shown in Fig. 9. 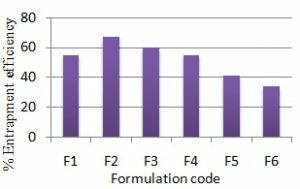 This highest release pattern of formulation F2 is due lowest particle size. The release from F2 and Carica papaya aqueous extract was found to be 86.34% and 45.98% respectively at the end of 24 h study. Stability Studies: Carica papaya aqueous extract phytosomal formulations (F2) were stored at room temperature and refrigerated temperature for 3 months and entrapment efficiency was determined. At the temperature of 4 ºC ± 2 ºC, there was no significant change in the entrapment efficiency of phytosomal formulation. There was a decrease in entrapment at 25 ºC ± 2 ºC after 1 month. Thus, it can be stated that F2 showed good storage stability at 4 ºC ± 2 ºC. In-vitro Cytotoxicity Activity: Carica papaya aqueous extract and phytosomes formulation were evaluated and compared for anticancer activity. GI50 value of aqueous extract and F2 was found to be 75.2 μg/mL and 48.4 μg/mL resp. when compared with standard anticancer drug Adriamycin having GI50 value of <10 μg/mL. Hydrogenated phosphatidylcholine being a constituent in the phospholipid taken for study acts as a selective carrier allows the molecule to have both an improved crossing through the gastrointestinal mucosal layer and with better permeability into the cells leading to increased cellular uptake. Due to the surfactant properties of phospholipid, the product is better adhered to the mucosal surface and makes it easy for the complex product to better interact with cell structure 19. In-vitro cytotoxicity results indicate that F2 was found to be more potent than aqueous extract showing less GI50 value. This further strengthens the fact that phytosomes are the herbal products wherein the individual components of herbal extracts bind to phosphatidylcholine matrix and produce a dosage form which shows better anticancer activity and bioavailability as compared to Carica papaya aqueous extract 21. Pre-compression Parameter of Blended Powder and Evaluation of Tablet: The results of the angle of repose, Carr's index and Hausner's ratio indicated that the powder mixtures possess good flow properties and better compressibility of the blend and also suited for the compression process. The physical property of the tablet was determined, and the results of the uniformity of weight, hardness, drug content and friability of the tablets are given in Table 4. Tablets pass the weight variation test and uniformity in content as per the limits prescribed in IP. Disintegration time indicates that the tablets are having sufficient strength to withstand physical abrasion 13. In-vitro Dissolution Study of Phytosome Tablet: In-vitro dissolution study was carried out as mentioned in the procedure discussed above in 0.1N HCl and phosphate buffer pH 7.4. The phytosomes complex tablets showed 21% release in 2 h in 0.1N HCl while the marketed tablets showed 81% release in 2 h in simulated stomach pH media. In the physiological conditions simulated by phosphate buffer pH 7.4, phytosomes complex tablets showed 85.32% release in 24 h in while the marketed tablets showed 97.3% release in 6 h. The Carica papaya phytosomal tablet was found to release the drug in a sustained manner compared to a conventional marketed tablet which contains only Carica papaya aqueous extract. CONCLUSION: Carica papaya extract was formulated as phytosomes. The best formulation selected ratio 1:2 for the final formulation. These phytosomes were formulated into a tablet. The new formulation showed maximum drug release when compared to existing marketed tablet formulation. The phytosomes exhibited better anticancer activity than the extract. Hence, it may be concluded that the phytosome tablet may show increased potency in dengue fever treatment due to increase bioavailability. ACKNOWLEDGEMENT: The authors are thankful to ACTREC, Tata memorial center, Kharghar, Navi Mumbai for providing the facility for cancer cell line study. CONFLICT OF INTEREST: None of the authors has any conflict of interest in the context of this work. Hooresfand Z, Ghanbarzadeh S and Hamishehkar H: Preparation and characterization of rutin-loaded nano-phytosomes. Pharm Sci 2015; 21(3): 145-151. Ravi GS, Chandur V, Shabaraya ARK: Phytosomes: An advanced herbal drug delivery system. 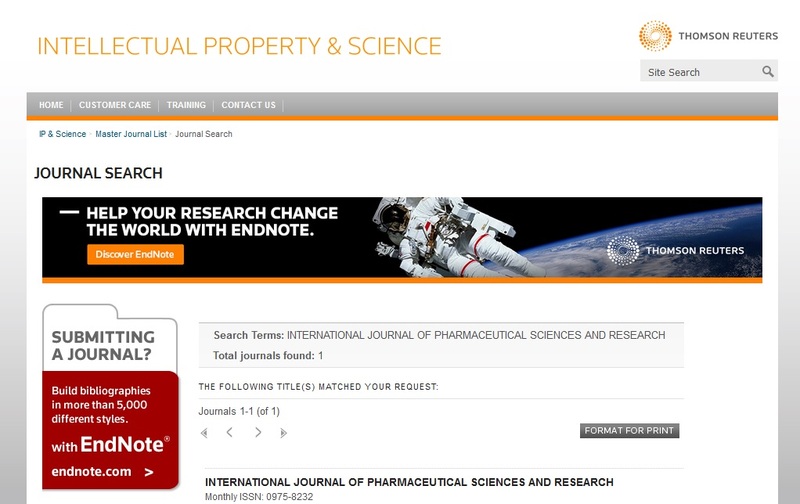 Int J Herb Pharm Res Bioscience 2015; 4(3): 415-432. Bhagyashree HAP: Phytosome as a novel biomedicine: A microencapsulated drug delivery system. J Bioanal Biomed 2015; 7(1): 6-12. Pingali BK and Srinivas SP: Formulation and evaluation of capsules of ashwagandha phytosomes. Int J Pharm Sci Rev Res 2014; 29(2): 138-142. Yogiraj V, Goyal PK, Chauhan CS, Goyal A and Vyas B: Carica papaya Linn: An overview. Int J Herb Med 2014; 2(5A): 1-8. Lankalapalli S, Tenneti VKVS, Adama R, Malleswara N and Beeraka R: Preparation and evaluation of liposome formulations for poorly soluble drug itraconazole by complexation. Der Pharm Lett 2015; 7(9): 12-29. Singh RP: Preparation and evaluation of phytosome of Lawsone. Int J Pharm Sci Res 2015; 6(12): 5217-5226. Dhase AS and Saboo SS: Preparation and evaluation of phytosomes containing methanolic extract of leaves of Aegle marmelos (Bael). Int J Pharm Tech Res 2015; 8(6): 231-240. Lala RR: Artemether loaded liposomes for enhanced intestinal permeability: Formulation development and evaluation. World J Pharm Pharm Sci 2017; 6(4): 1596-1608. Lankalapalli S, Tenneti VSVK and Nimmali SK: Design and development of vancomycin liposomes. Indian J Pharm Educ Res 2015; 49(3): 208-215. Vichai V and Kirtikara K: Sulforhodamine B colorimetric assay for cytotoxicity screening. Nature Protocols 2006; 1: 1112-1116. Skehn P, Storeng R, Scudiero A, Monks J, McMohan D, Vistica D, Jonathan TW, Bokesch H, Kenney S and Boyd MR: New colorimetric cytotoxicity assay for anticancer drug screening. J Natl Cancer Inst 1990; 82: 1107. Thakur D and Yadav AK: Formulation and evaluation of herbal tablets containing Pterocarpus marsupium extract for effective management of diabetes. Asian Journal of Biomaterial Research 2016;2(5): 152–157. Latha SM, Devi NG, Anusha N, Sameera M, Silpa N and Lakshmi NM: Formulation and comparative evaluation of aceclofenac tablets by two granulation methods. Int J Pharm Clin Res 2016; 8(7): 649-654. Bhowmik A, Nijhu RS, Ahmed T and Sultana S: Design and development of atenolol matrix tablet employing natural and synthetic polymers. J Appl Pharm Sci 2013; 3(9): 103-108. Sundaresan A, Niveditha R, Padmanabhan S, Hari BNV and Ramyadevi D: Oro-dissolving systems of papaya extract – liquisolid compacts and lozenges. Int J Pharm Tech Res 2014; 6(7): 2083-2091. Pharmacopoeia I: The government of India “Ministry of Health and Family Welfare” The Controller & publication. Delhi, India 2014. Ram VR, Ram PN, Khatri TT, Vyas SJ and Dave PN: Thermal analytical characteristics by TGA-DTA-DSC Analysis of Carica papaya leaves from Kachchh. Int Lett Nat Sci 2014; 26: 12-20. Saoji SD, Raut NA, Dhore PW, Borkar CD, Popielarczyk M and Dave VS: Preparation and evaluation of phospholipid-based complex of standardized Centella extract (SCE) for the enhanced delivery of phytoconstituents. AAPS J 2016; 18(1): 102-114. Zidan AS, Spinks C, Fortunak J, Habib M and Khan MA: Near-Infrared investigations of novel anti-HIV tenofovir liposomes. AAPS J 2010; 12(2): 202-214. Shalini S, Kumar RR and Birendra S: Antiproliferative effect of phytosome complex of methanolic extract of Terminalia arjuna bark on human breast cancer cell lines (MCF-7). Int J Drug Dev Res 2015; 7(1): 173-182. Patil S and Ayare P: Carica papaya: Formulation and evaluation of new dosage form design. Int J Pharm Sci & Res 2019; 10(4): 1677-85. doi: 10.13040/IJPSR.0975-8232.10(4).1677-85. 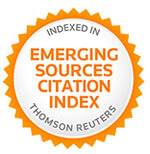 Authors Address: Department of Pharmacognosy, Prin. K. M. Kundnani College of Pharmacy, University of Mumbai, Cuffe Parade, Mumbai, Maharashtra, India.